How to watch Yes Man (2008) on Netflix Bangladesh! Yes, Yes Man is now available on Bangladeshi Netflix. It arrived for online streaming on October 5, 2017. 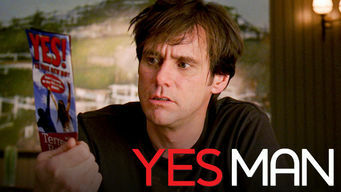 We'll keep checking Netflix Bangladesh for Yes Man, and this page will be updated with any changes. After a bitter divorce, a bank drone falls under the sway of a self-help guru who urges him to say yes to everything that comes his way for a year. Up until now, life was one big "no." Expanding his vocabulary was the best thing that ever happened to him.